If you visit the French Riviera in July or August, you might have trouble finding an open space on the beach to put your towel. It’s hard to imagine that up until the 1920s there were no summer tourists here, no hotels were open, and there was certainly no one swimming in the sea. 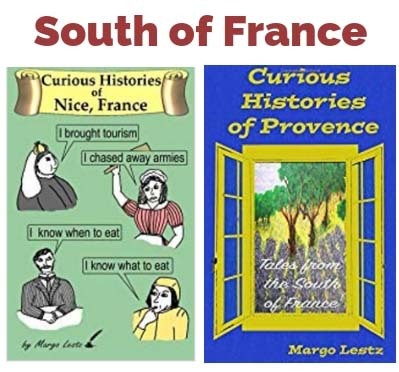 The French Riviera was “discovered” in the 1800s by the European nobility who spent their winters here. But when springtime rolled around these wealthy holiday-makers went home and left the summer heat to the locals. Then in the 1920s, an American couple played a big part in the Riviera’s “rediscovery”. Gerald and Sara Murphy were one of the first American couples to move to the Riviera. They both came from families that had worked their way up from nothing and made their fortunes in the United States. But in the early 1920s, the Murphys, along with many other artistic souls, left the US. One reason for this was that the post war atmosphere there had become stifling. The 18th amendment to the constitution was passed and Prohibition made it illegal to produce, transport or sell alcoholic beverages. Some states went even further, making it illegal to drink alcohol. Overnight, thousands of law abiding citizens where reclassified as outlaws. Crime rose and criminal organisations gained strength. The Murphys took advantage of the strong US dollar and went to live in Europe where the atmosphere was very different. When they arrived in Paris with their three young children, they were captivated by the creative energy there. In Europe, where every home had lost someone to the war, the young people wanted to forget about death and destruction. They just wanted to live and celebrate. This was the beginning of Les Années Folles, or the “Crazy Years”, in which creativity boomed. Modernism was born and Paris became the centre of all things artistic. There, you could find painters, writers, and musicians from around the world forging new forms of their art. When Gerald first saw a modern art painting, it had a profound effect on him and he decided then and there to start painting. He and Sara started taking lessons and while Sara eventually quit, Gerald became a somewhat admired painter. Even though his career was short, he produced some impressive works. While in Paris, the Murphys donated their time to help restore the backdrops for the Russian ballet which had been destroyed in a fire. There they met other artists, including Picasso, and found their niche in the artistic community. While many of the modern artists living in Paris were young and had wild lifestyles, Gerald and Sara were a bit older and had three children. They enjoyed the creative synergy of the art scene but led a settled life and perfected the art of living well. In the summer of 1922 the Murphys went to the South of France to visit one of Gerald’s friends from Yale, Cole Porter, who had a reputation for finding charming and unusual places for his holidays. The Murphys fell in love with the Riviera and knew immediately it was where they wanted to be. Portrait de Sara Murphy by Picasso. See source. The next summer, Cole wasn’t there but the Murphys returned. At that time, there were no tourists in the summer and the Riviera hotels closed the first of May. Gerald and Sara convinced the owner of the Hotel du Cap in Antibes to stay open for them and that summer they entertained the first of their many visitors from Paris: Pablo Picasso and his family. Picasso also fell in love with the area and rented a villa in Antibes. The Murphys decided to make the Riviera their home and they bought a villa just below the Antibes lighthouse. It had a magnificent garden but the house required two years of renovation. Always trendsetters, Gerald and Sara added features to their home that were unheard of at the time, such as a flat roof that could be used as a terrace. The interior was very modern with black floors, white walls, mirrors and stainless steel. They moved in with their three children in the summer of 1924 and called their new home Villa America. The Murphys made monthly visits to Paris to stay in touch with the artistic community there and many of their Paris friends came to visit them on the Riviera. They entertained a constant stream of guests and they shocked the locals by their “unusual” activities. Gerald cleared off the 4 ft. (1.20 metres) thick layer of seaweed from the beach to make a place for swimming. These strange Americans and their friends lay in the sun, swam in the sea, and picnicked in the sand while listening to Jazz on a portable phonograph. Both Sara and Gerald were very stylish. Sara wore her pearls to the beach and Gerald made the striped jersey, shorts and knit cap fashionable beachwear for men. In this photo Cole Porter has a bit of fun in Sara’s pearls and Gerald’s cap. See source. They loved to entertain and their friends enjoyed sharing their idyllic Riviera lifestyle. Some, like Picasso and Fitzgerald, followed in the Murphys’ footsteps and took up residence in the South of France. Others from the Paris art scene started spending summer holidays on the Riviera. Hotels began to stay open in summer to accommodate these guests and beaches were cleared of seaweed and filled with sunbathers. A list of Gerald and Sara’s friends reads like a Who’s Who of the 1920s. They rubbed shoulders with Cole Porter, Gertrude Stein, F. Scott Fitzgerald, Ernest Hemingway, John Dos Passos, Pablo Picasso, Rudolph Valentino, Jean Cocteau, Ezra Pound, Igor Stravinsky, and Fernand Léger among others. Many of them were introduced to the Riviera through the Murphys. Original cover of Tender is the Night by Fitzgerald. It was dedicated to the Murphys and partially based on their Riviera lifestyle. Les Années Folles, “the crazy years” ended abruptly in 1929 when the stock market crashed. The same year, one of the Murphys’ sons was diagnosed with tuberculosis and they left the Riviera for good in 1933 to go back to America. 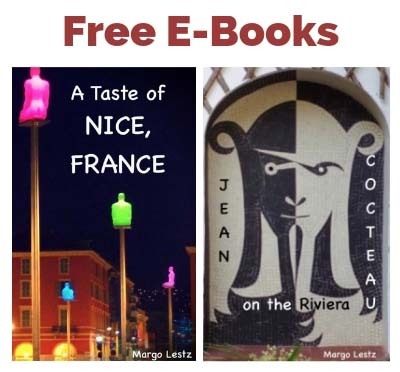 But they had left their mark on the French Riviera and it would never be the same. It’s reported that as Picasso sat looking out over a beach that had been abandoned when the Murphys arrived and was now filled with sun-bathers, he remarked that he and the Murphys had a lot to answer for. I wonder what he would think today. For a list of books about the Murphys and this era, click here. Margo- I thoroughly enjoyed this post! You captured my favorite elements- history and culture- in a way that sheds new light on our inter-connectedness. Great list of reads too! You know you’ve done your job well when your readers want to know more after you have piqued their (my) curiosity! Thanks for giving me something new and fascinating to research! I would like to read more about this era as well. “Les Années Folles” were fascinating years when so much was happening in the art world. Happy reading and get well soon! The extra source article you linked to was fascinating. I had no idea we had people of this quality in France at that time. I wonder who we have today that will be remembered this way? Certainly no one from Hollywood! Love this one especially mucho! 😛 Great post!! A great example of American leadership and kutzpah! Today it seems so strange to think that before the Murphys no one had thought that the Riviera might make a nice summer holiday location. How things change! A fascinating article. I wonder who lives in Villa America now. Thanks Derek. Good question. I don’t even know if it’s still standing. I wouldn’t be surprised if it was torn down and something more luxurious was built in it’s place. Super interesting read – what a life they had! Thanks Lynda. I think it was a special time when so many artistic minds were together in one place. Very interesting history. Who knew one family could be responsible for the crazy beach scene of today. Great post. Yes, they thought outside the box, went to the beach, and the whole world followed. I can’t imagine what it looked like when they arrived and the beaches were empty. What a change! I enjoyed reading your post. I spent two years researching the Murphys et.al. and have written a screenplay based on the summers spent at Plage Garoupe, Eden Roc and other such glamorous locations. How interesting! What is the name of your screenplay and where might we be able to see it? It must have been fascinating to study such interesting lives. Thanks for commenting. Once again a fascinating read. 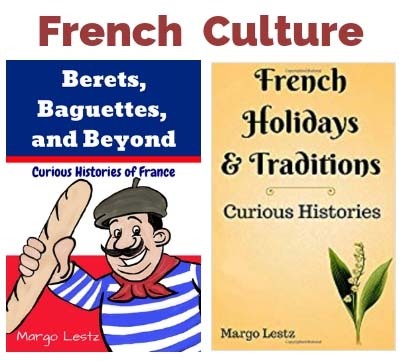 This is such an interesting time in French history and the connections with the United States and the arts. Hello. I too am glad that you found my blog and that you like it. 🙂 It’s very kind of you to nominate me for this award. Thank you so much and all the best on your blog, A House in France at http://aussiesinfrance.wordpress.com. Captivating read! I can well imagine the laughter and fun parties lasting well through the night on the shore at Cap d’Antibes! Margo, you have a way of bringing these stories to life! Captivating read! I can well imagine the laughter and fun parties on the shore at Cap d’Antibes! I shared this on FB for my friends to enjoy as well.